The link between economic development and education in Latin America is generally well-recognized. A literate and educated work force is the largest single factor in explaining economic growth. In this study, the editors and contributors survey the various elementary educational systems to investigate the reasons behind the failure of schools to retain students in elementary grades. 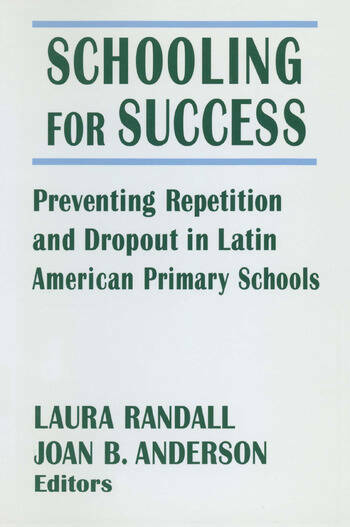 A group of scholars looks at the current state of education in four countries: Mexico, Argentina, Brazil, and Chile, with a view to designing more effective programs for reducing the dropout and grade repetition rates. For each country studied, there is an overview of the school system, teacher training and attitudes, centralized and decentralized planning, curriculum development, and psychological and environmental issues that contribute to school dropout. This study provides an analysis of the role the United States alliance with Nationalist China played in US strategy to contain first the Sino-Soviet alliance and then China during the 1950s and 1960s.